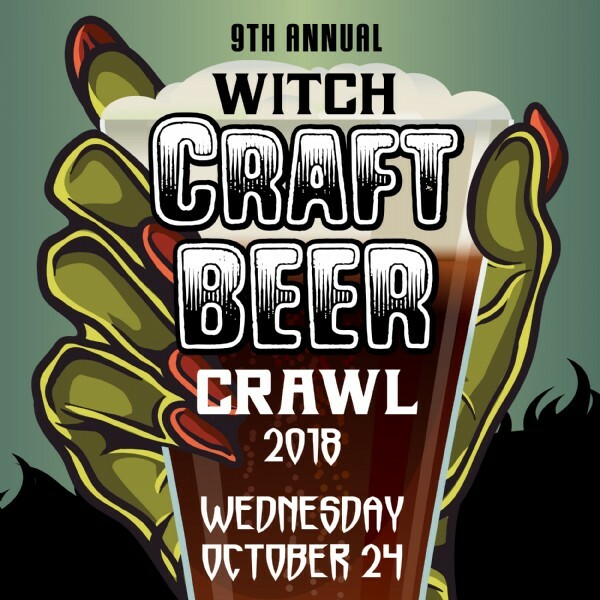 Grab your broomstick and fly around East Passyunk Avenue during the 9th Annual Witch CRAFT Beer Crawl on Wednesday, October 24, 2018, from 5:30pm to 9:30pm! Up to 500 witches will enjoy seasonal craft beers bubbling up in cauldrons at close to twenty bars and restaurants. Tickets are $6.66 and include $4 beer specials from Founders Brewing Company, a witch hat and a Witch Craft stamp card. $10 AT THE DOOR! Get your tickets online! Earn stamps by purchasing a craft beer, food or other beverage at participating locations. Collect five or more stamps to be entered to win a gift certificate prize package worth $300+ with runner up prizes from our brewer and bars! Registration is at Garage at 1231 East Passyunk Avenue from 5:30pm-7:30pm. After that crawlers are free to hit the bars and beers of their choice. Witch CRAFT Stamp Cards must be returned to Adobe Café (1919 E Passyunk Avenue) by 9:30 pm, and each stamp over five is another chance to win, with a maximum of two stamps per location. Collect stamps by purchasing $4 craft beers or any other food and beverage items. You do not need to be present to win the grand prize. We'll also have additional raffle prizes including gift certificates to participating bars and restaurants and prizes from Founders Brewing Company. Special thanks to Founders Brewing Company! Proceeds benefit EPABID's cleaning and greening programs. For more information, visit www.visiteastpassyunk.com, call 215-336-1455 and follow @eastpassyunk on Instagram.